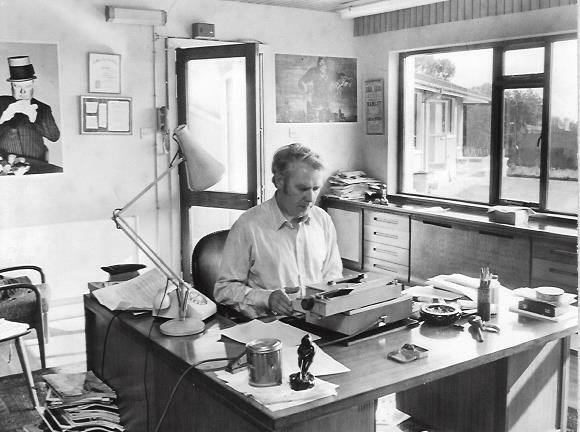 The man at the Olivetti Praxis 48 electric typewriter, with W.C. Fields looking over his shoulder, is the Irish dramatist and essayist Hugh Leonard (1926-2009). He’s working in his studio in Dalkey in Dublin. I knew Leonard (real name John Joseph Keyes Byrne) when I worked in Ireland through the 1970s. We weren’t close friends, but he and I wrote articles on Irish sporting matters for the London Sunday Times, and I had the good fortune to attend stage performances of some of Leonard’s plays. I also got to know the TV and radio host Gabriel Mary “Gay” Byrne (1934-, no relation to Leonard), and it was through Byrne’s TV show that I got to meet the world heavyweight boxing champion Floyd Paterson. 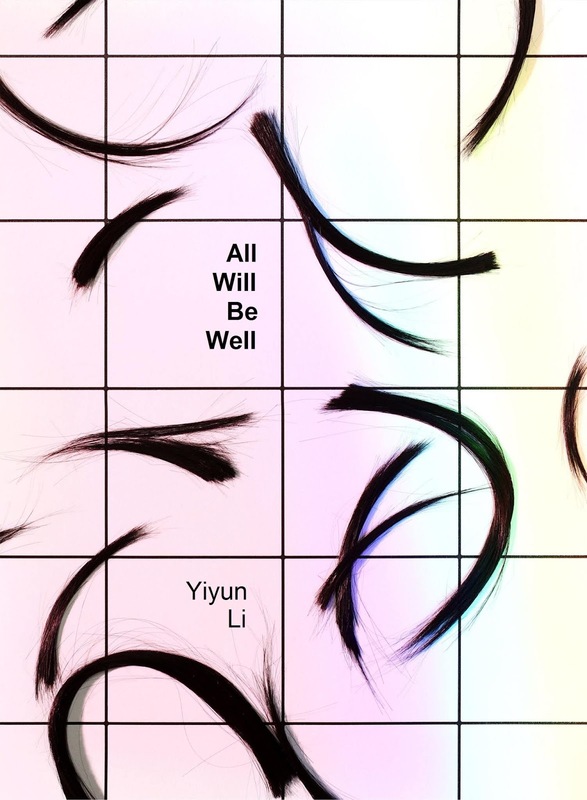 Last Thursday, late on the night before my 71st birthday, I was reading an engrossing New Yorker short story by Yiyun Li called “All Will be Well”. In it, Li made reference to a fictional character called Michael Furey. “For all I knew,” she wrote, “Michael Furey had been a figment of Joyce’s imagination …” I correctly assumed she was referring to James Joyce, and that fuelled my imagination. Sure enough, Furey is a young man in “The Dead”, a 15,952-word novella which completes Joyce’s 1914 collection Dubliners. 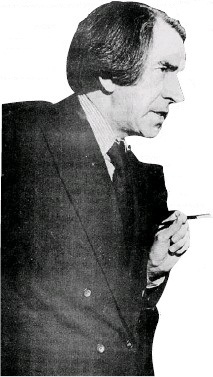 It turns out Hugh Leonard adapted “The Dead” as a one-act play in 1967. Finding this led me to Leonard, and to a surprise that forced me, instantly, to start reappraising every single day of my life for the past 40 years. As one might imagine, I didn’t get much sleep that night. And I haven’t thought about much else since. So far, all I’ve managed to convince myself of is a slight step up to a higher moral ground. The epiphany came in two lines of Hugh Leonard’s entry in Wikipedia: “In 1984, Leonard discovered his accountant Russell Murphy had embezzled £258,000 from him.” Leonard, who came to see this breach of trust as pitch black humour, was particularly upset that Murphy had used his money to take clients to the theatre and purchased expensive seats at some of Leonard's plays. Murphy, it transpired, had also ripped off his “dear” friend Gabriel Byrne to the tune of £73,000, and in total £2 million. Oh, how Leonard must have blushed and cursed when he found it was his own savings that were irreplaceable, thanks to Murphy’s grand theft. For 35 years I had known nothing about any of this. Why should have I have known? Because I knew Murphy well, and was very often the beneficiary of his largesse, including attending Leonard’s plays. Utterly unbeknown to me, I had frequently been the receiver of ill-gotten gains, of what amounted to stolen money. As well, I knew and wrote glowingly about Murphy's son, Henry Murphy, a leading rugby player who had toured Argentina with the Irish team in 1970. As a sort of hand-me-down confidant, I was also privy to the intimate details of Murphy’s private life. Married with two children, he was in a term-long affair with the comely widow Bronwyn Conroy (left, 1938-), who ran a well-known beauty school in Blackrock and wrote a column for my then newspaper, the Sunday Press. I was caught up in the illicit affair (there was no such thing as divorce in Ireland back then) in as much as I helped scout hideaway hotels for the couple’s "dirty weekends", and I relieved Conroy of her Yorkshire terrier, a gift from Murphy. 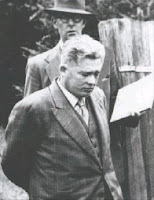 Conroy’s first husband, Liam Malone, had died young – in 1996 she married again, to Robert Davitt, grandson of the Irish Republican leader Michael Davitt, in Somerset, England, and the couple lived in Wales until 2006. Interestingly, the two lead characters in Joyce’s “The Dead” are Gabriel and Gretta Conroy. Bronwyn Conroy was no lap dancer. But as someone once wrote, in reference to Russell Murphy’s vainglorious style of dress, that it was “merely a strand of the American business principle that says if your money manager starts dating a lap dancer, it's time to find another money manager. If he starts dating a lap dancer and wearing a cape, leave the country.” Murphy didn’t leave, but I did. In 1979, increasingly concerned about my ongoing welfare, and about “knowing too much” (as I was told) in the then terrorist haven of Ireland, I made a quick dash from Dublin, safely zig-zagging across the world to Copenhagen, Düsseldorf, Bahrain, Singapore and on to Australia. 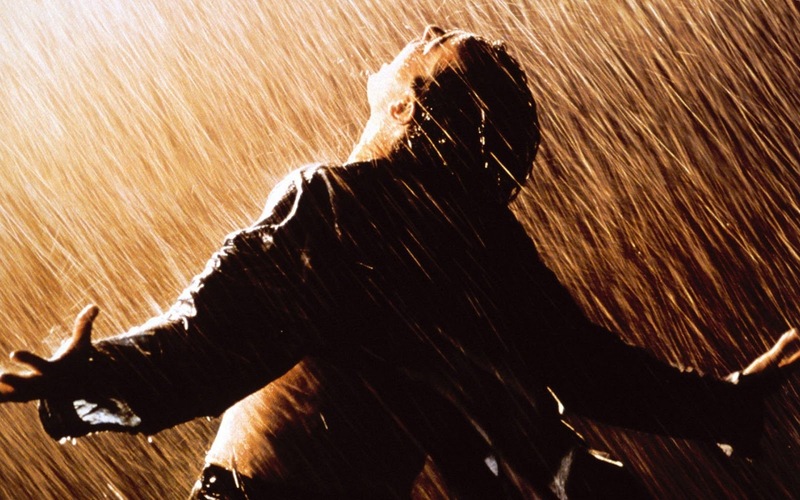 Afterwards, Russell Murphy passed on word that “he was envious of me, for having managed to break free, to escape”. Now, for the first time, I understand why he said that. But Murphy loved the theatrical life of Dublin. He was very much a part of it, and a man prone to his own theatrics, like occasionally hiding under the massive desk in his office. He wore a black cape with red silk lining, the billowing type favoured by Count Dracula, and he carried a silver-topped cane. 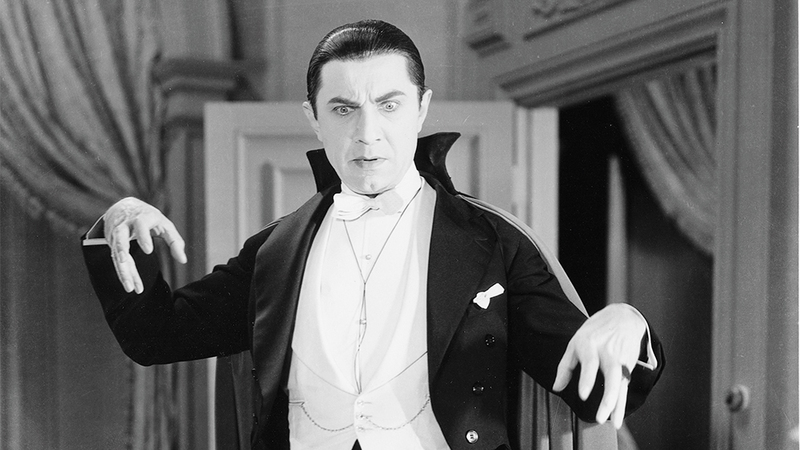 After all, Dracula was the product of fellow Dubliner and theatre man Bram Stoker. 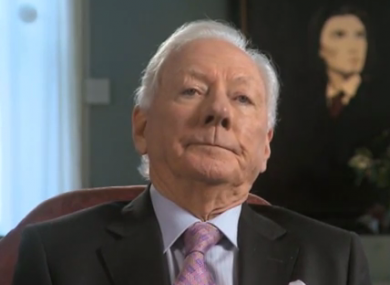 One of Gay Byrne’s profilers noted, “Some might choose an accountant partly on the basis that they don't wear a cape. Or avoid taking on an accountant who looks like the kind of person that could decide one day to buy a cape. Still others would simply tell him, ‘You're an accountant. Stop being so monstrously vain’. The profiler added, however, that Murphy would almost certainly have enjoyed spending Gay Bryne’s money more than Gay Byrne did. “To Gay and his generation, money had perhaps a mystical quality that not only needed expert handling but needed to be handled by people who looked like Edwardian-era surgeons. 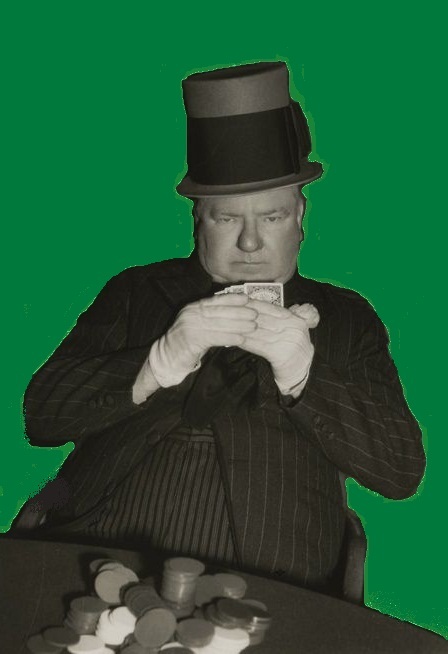 They stood back deferentially and let the people who looked like they knew better make them richer.” Instead, of course, Russell Murphy made them a lot poorer, an awful lot poorer. Russell Murphy loved the high life – like Scott Fitzgerald, he loved it much more than he could afford to live it. Once a rich old lady left a tatty umbrella in the reception area of Murphy’s office. After she had made much fuss about getting it back, Murphy snorted, “No wonder some people are so rich - it’s because they’re so damned miserly.” What became of the old lady’s money I do not know, but she did get her umbrella back. 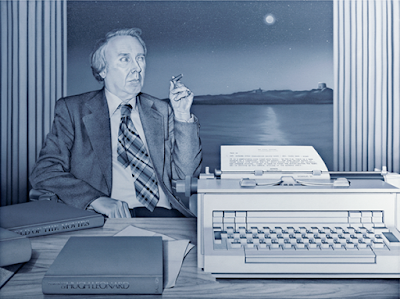 I have been fascinated by the lives of audacious conmen since, as a youngster, I heard of the story of New Zealander Murray Beresford Roberts, left, an unrepentant Frank Abagnale way before that American imposter’s time. But though Roberts had started his outrageous career in my home town, and had once “edited” a newspaper I had worked on, it was way before my time. So I never thought I’d actually met one of these duplicitous villains. Oh, I’ve known some low-down scoundrels in the typewriter collecting community, if I could call it that, but this couple of cheats are small-time swindlers compared to the major operators. This pair cost me four-figure sums, nowhere near the same league as Russell Murphy’s £2 million. On reflection, I can see that Charles Russell Murphy, born in Dublin on August 11, 1924, had always held aspirations above his station or, more to the point, his means. In London on August 29, 1947, he married Marie Thérése Fawsitt (1925-), the Cork-born daughter of Diarmuid Fawsitt, above, far left, a founder member of the Irish Volunteers and Irish Consul in New York at the time of the Irish Civil War. Fawsitt later became a circuit court judge. Russell Murphy went on to establish an accountancy service for the rich and famous – many of them American and British notables in the music and movie worlds. Murphy’s clients were covered by a “creative” exemption in the Irish Income Tax code, which meant their royalties were tax free. This applied, for example, to those who lived in and restored old Irish estate houses and paid no taxes at all. On one occasion Murphy wrongly advised them that they were also exempt from Value Added Tax, but such were Murphy’s high-level connections that the Irish Tax Office wrote off more than four years of VAT, just from his clients on “a concessional basis”. Murphy was certainly well connected, as a Governor of the Bank of Ireland and a member of the Council of the Institute of Chartered Accountants. Hugh Leonard and Gay Byrne (looking unimpressed, above) took High Court action against the Institute of Chartered Accountants but received no compensation. My compensation in all this has been much different - financially, I lost nothing, and owed nobody one brass tack. Yet the process of reappraising my life of the past 40 years goes on unabated. It already feels good to know that, in comparison, I was something of an angel among such sinners, someone whose actions were at least somewhat justifiable. On top of all that, I do feel far better informed now than I was back then. It helps to attain a more balanced view of one’s past, to feel somehow finally redeemed. 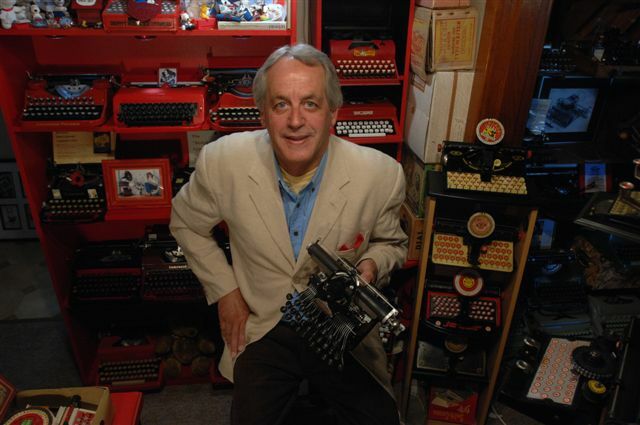 After all, as Hugh Leonard wrote, "if [Russell Murphy] was fond of you, you could not wholly dislike yourself". Thanks Ace Swindler! All the interesting characters in this post would make it a TV series or a movie.